Allahabad University Syllabus 2019: Are you interested to take admission in Allahabad University (AU) for various UG & PG courses?? If yes then apply now for Allahabad University 2019. The admission for academic session 2019-20 will start from April month. Eligible and interested candidates need to give the entrance exam to get admission in AU. Those who are going to appear in this exam must check the complete AU Entrance Exam Syllabus as per your course and start preparing for the exam. 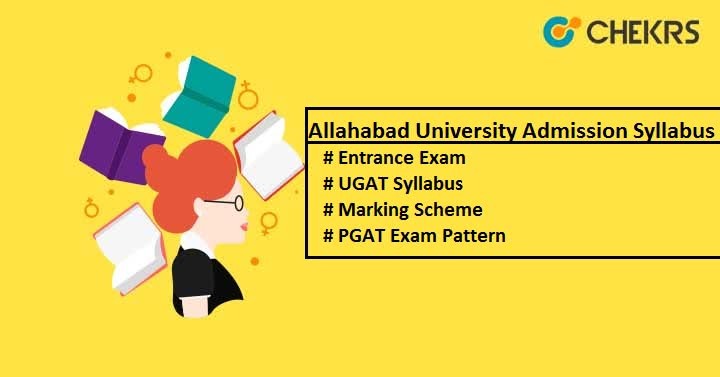 Candidates, who are applying for Allahabad University UGAT 2019 need to go through the complete intermediate level syllabus and for PGAT, must check the graduation level syllabus. Here we have shared the Course wise Syllabus for all the courses offered by the University. The university will set the exam pattern for various courses. It is mandatory to know the Allahabad University Entrance Exam Pattern before appearing for the test to avoid the confusion. The exam pattern will vary according for the courses. Here we have shared the AU UGAT Syllabus and exam pattern also for those candidates who will apply for undergraduate courses. Let have a look on the below exam pattern for both UGAT & PGAT. Marking Scheme 2 mark for each right answer. -0.5 mark will be deducted for each wrong answer. With the help of syllabus and exam pattern you can start your preparation from now, in this way you will get enough time for revision and score the maximum marks. You can also check the AU Entrance Exam Previous Year Papers to get exact idea of exam pattern and paper pattern also. Hope we have provided useful content to all viewers. In case of any doubts regarding Allahabad University Entrance Exam 2019, leave your message in comment section below.